I use spreadsheets like Excel for everything. Probably for too many things. 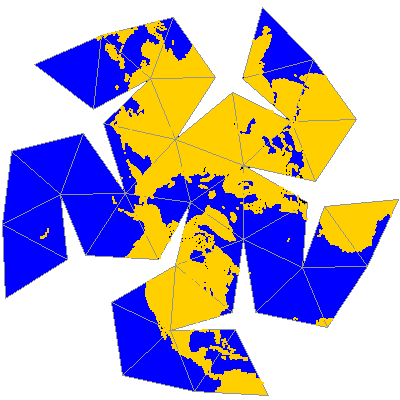 I have a 25 megabyte spreadsheet that puts the coordinates of the Earth’s ocean boundaries on an unfolded northern hemisphere. Click on the image for a really large PDF file that you can print on 11×17 paper and cut out yourself.